The object of Baccarat is to bet on which hand will have the highest value. Other variations of this game include Mini-Baccarat and Midi-Baccarat, both of which can be found on our gaming floor. Experience the fun of 21. The object is to draw cards that total 21, or as close to 21 as possible, without going over (busting). When you hear cheers of celebration and feel energy radiating throughout the casino, it's usually coming from the craps table. These fast-action tables can be intimidating to the beginner, but it's easy to learn. A long-time tradition in European casinos, this game is fun and easy to play. From exclusive player rates on rooms to complete complimentary stays, Mandalay Bay is sure to be your preferred gaming destination. Before planning your next gaming trip, contact Mandalay Bay VIP Services to assist you in setting up your accommodations at 877.632.7500. With over 1,200 slot and video poker machines to choose from, you'll find a full selection of your favorite games. 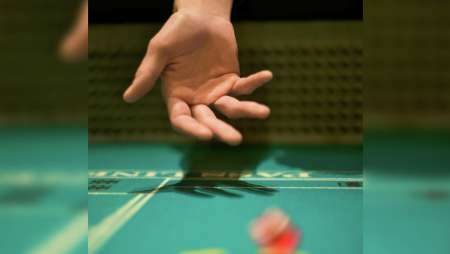 Mandalay Bay offers a variety of games, ranging from $0.01 to $100.00.